As families and friends come together this holiday season, I turn towards our Foundation family. From the strong values that interlink and resonate throughout our schools, to the ways in which we’re evolving for the future, to the wonderful students, staff and parents who make the Foundation what it is today, I couldn’t be more proud as Principal. This term has showcased how collaborative, talented, individual, and really fun each member of our Foundation family is. One fine example of this talent and individuality lies in this year’s Christmas card designs. Students designed their ‘dream snowman’ to reflect their characters and personalities - sure to bring a smile to your face. Year 7 have been getting to grips with binary coding this term, culminating in an iPad-based Project Day exploring patterns and symbols - it looks like they had great fun using the activity space in our new building too! As I’m sure you know by now, digital learning is close to my heart - I strongly believe that we cannot educate our youngsters in a technology-free bubble. A printed textbook may feel familiar to us, but what worked for us simply will not work for today’s learners and tomorrow’s workforce, as I explain in my latest blog post. Technology has, and will further, revolutionise their lives far beyond the classroom. So let’s prepare them for this exciting new world. One thing that has stood out this term has been the number of opportunities we’ve had to come together as a community, both across the Foundation and beyond it. 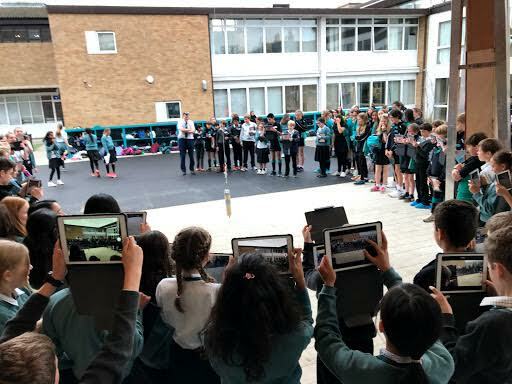 Our younger pupils have enjoyed collaborations and formed friendships across schools, thanks to the Senior School Open House and Year 6 Collaboration Day (read more from Katie Milne), as well as joint celebrations over Christmas and Diwali. In the Arts, we’ve seen joint efforts drive successes. Actors, musicians, backstage crews, prop designers and make-up artists collaborated on various Drama productions, from Y11-13 in Canterbury Tales to Y6 in Ebenezer and even in the Nativities from our younger pupils. In the Senior School, we have seen some fantastic iGCSE performances, and enjoyed the diverse musical talents our students bring to the Foundation, from evensong to rock band. Our collaborations have also extended beyond the Foundation. As part of an impressive term of sporting events and achievements, we are thrilled to announce a new sports partnership with professional netball team benecosMavericks, offering our netball teams the chance to learn from the experts. 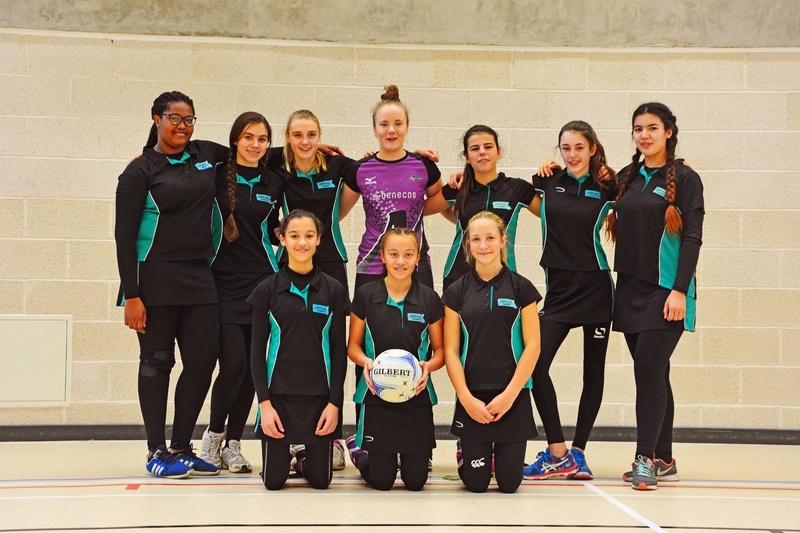 Our young athletes are achieving impressive results in a range of sports as both teams and individuals, from netball and rugby to tetrathlon and taekwando. We are committed to developing our young people into independent thinkers with a global outlook, so that they can thrive in this interconnected and fast-paced world. This commitment is part of our learning toolkit, helping us nurture future change-makers. Highlights from this term include the ‘Inspire and Guide’ programme which has seen inspiring and motivational speakers engage our Year 10-13 students and challenge them to think differently. The speakers have covered topics ranging from ‘Game Theory’ to ‘How Women made the West Rich’, and we love hearing how valuable these insights are to our students. We enjoyed a Foundation-wide celebration of World Philosophy Day, inviting Professor Simon Blackburn into the Senior School. I’m excited to share the news that Lord Rowan Williams will be visiting us in February to talk to parents and students alike. More to come on that one! This term also had an international flavour, seeing us celebrate the European Day of Languages and featuring trips to Salamanca in Spain for the Junior School and Dame B’s, and Italy for our Y11 to 13 students. It has been wonderful to see all the fundraising and charitable work taking place this term - our students value their place in both the local and global community, and genuinely want to make an impact. Listening to our Year 10 Big Bang Fair contestants share their ‘Ecosort’ project with BBC Radio Cambridge this month (listen in from 53:44) was a proud moment for me, as they explained the impact of plastic cups on the world we live in and suggested what we should do about it! Our 6th Form students have also been busy fundraising for their charity of the term, while our younger pupils have been learning about the world around them, whether that’s through outdoor learning and forest school at the Junior School, a farm visit for the Pre-Prep, or the Dame B’s harvest assembly that discussed social responsibility at harvest time. This term has seen us start to use our transformational new sport and learning spaces in the Senior School and the new building has already hosted students of all ages, from Pre Prep through to 6th Form. I look forward to watching the space settle and develop as it is enjoyed by our students in 2018. All that remains is for me to wish you all a very joyous and peaceful holiday. Get yourself in the Christmas spirit with our round-up of all the seasonal activities and events from across the Foundation, featuring nativities, carols, fundraising, plays and even a disco. We say farewell to Mrs Caroline Petryszak who will be leaving us at the end of term after 10 years dedicated service. This is in addition to Mrs Petryszak’s first stint on the Staff as a Mathematics teacher between 1994-97. Rejoining the Foundation in 2007, Mrs Petryszak has taken on a variety of roles in addition to her teaching including Head of Year, Assistant Head and currently Director of Studies. We are very grateful for Mrs Petryszak’s contribution at each stage of her career with the Foundation and wish her well for the future. We also send our best wishes to Alwyn Whitaker, who is leaving the Foundation this term.